I learned two important lessons related to wind today. First, if your tent isn't a dome, make sure to take wind direction into account before setting up. Gusts last night were really mashing at the sides of my Big Agnes Seedhouse. I woke up thinking it was going to fall in on me. I guess it earned some points for holding up well anyways. The second was that wind can blow so hard you have to pedal to keep going downhill. The plan today was to take this hydrocanal road almost all the way between towns. At some point cross winds picked up so hard that my bike was making whistling sounds. I pushed on for about 10km in crazy winds as there was nowhere to stop on the road. On the right was the canal and on the left it dropped off to a field. Fortunately it was deserted so I could weave and swerve as needed. I made it to where it intersects another road and hid behind a rock to rest and eat lunch. Hoped to wait out the wind but an hour and a half later it was only getting worse. Took a fun tail wind from it to go down the main road towards the town I was heading to anyway. Eventually I met the winds (a little calmer) head on and learned the mentioned lesson about having to push to be able to ride down hill. 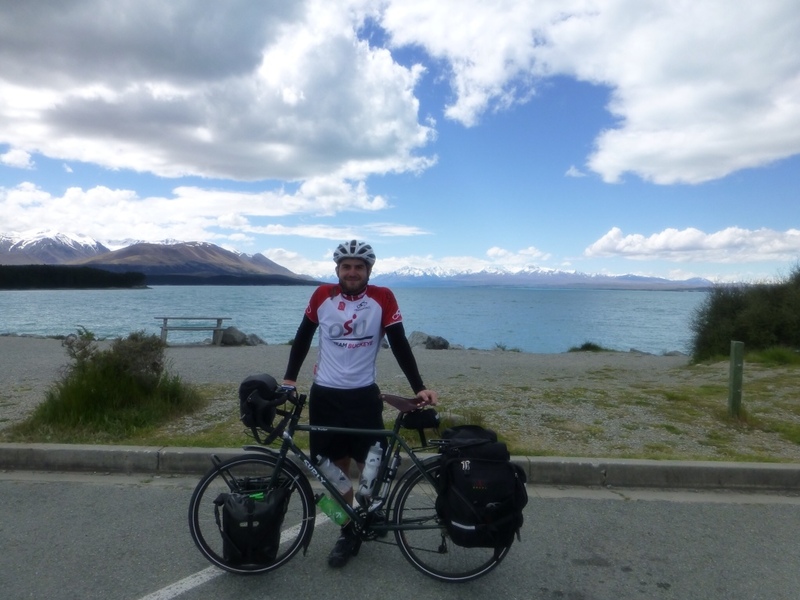 After an exhausting 70km I made it to Lake Pukaki (which looked surprisingly similar to yesterday's lake..) and decided to cut it short and do 10km to Twizel instead of the 53km to Mount Cook. 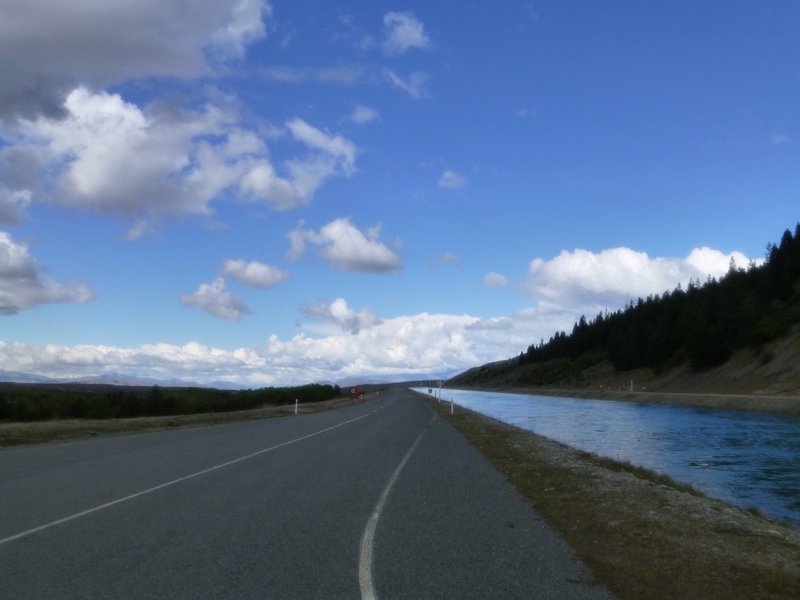 While at the lake I discovered (and spent some time on) a dirt bike path that's part of the nearly finished “alps to ocean” bike path that will connect Mount Cook with the coast by 350km of solid bike path. This entry was posted in Uncategorized on November 11, 2012 by twymer12. You wussy, back in my day, I had to ride to school on a bike in hurricane force winds in sleet and snow, UPHILL both ways.